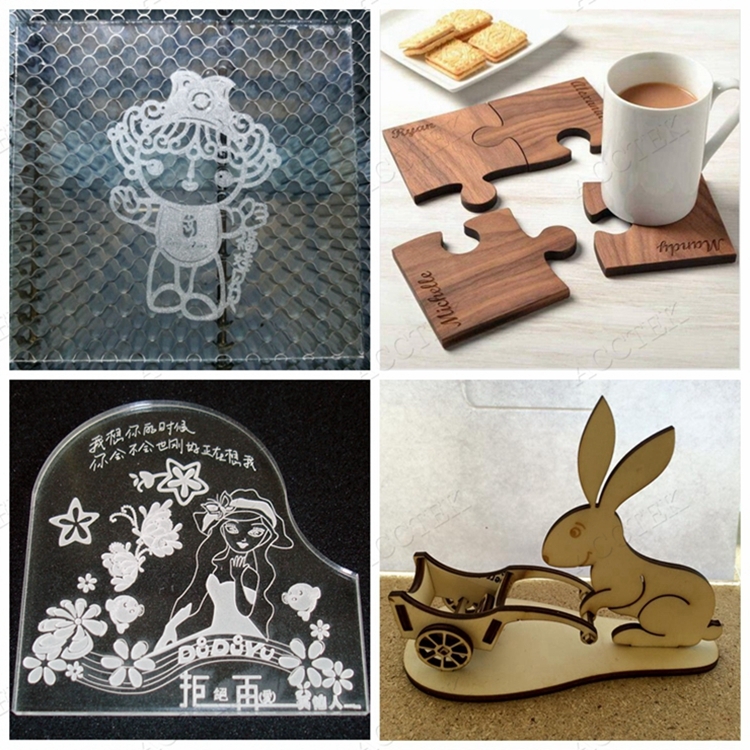 Applications of the laser cutting machine 6090. 1) acrylic ,cloth, tile, cardboard, paper, leather, PU leather, logo embroidery, plastic, rubber, wood. 2) leather animals, shells, double color boards, bamboo. 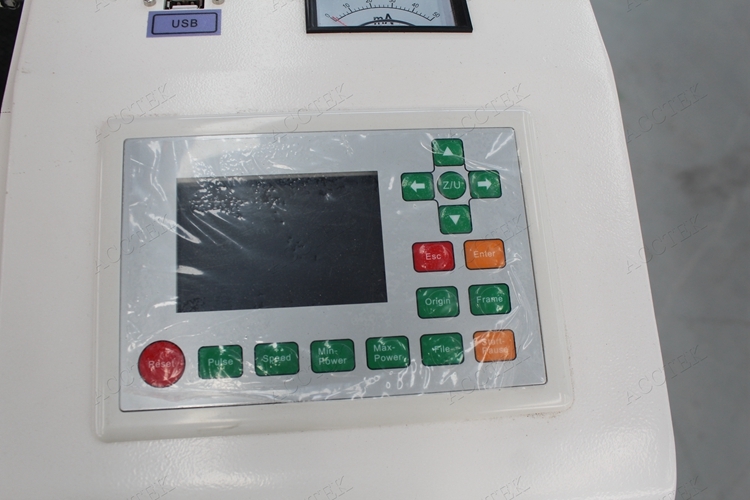 3) ABS board, PVC board, fiber and composite materials and other non-metallic materials. 4) Shoes, leather clothing, brand processing, embroidery, advertisement decoration, wood processing. 5) packaging and printing, laser knife mold, decoration decoration industry, craft, toys. 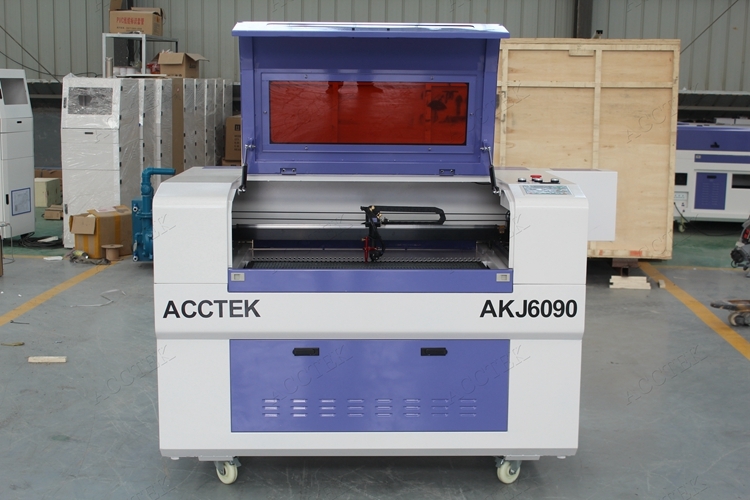 CNC laser cutting machine AKJ6090. 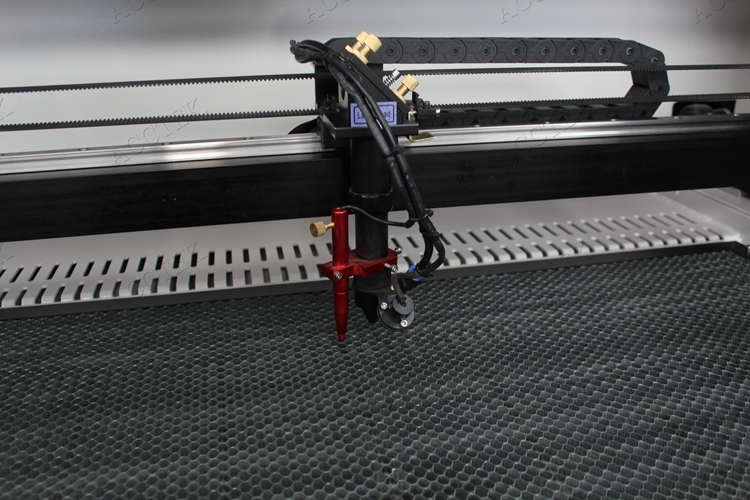 Standard configurations for laser machine AKJ6090. 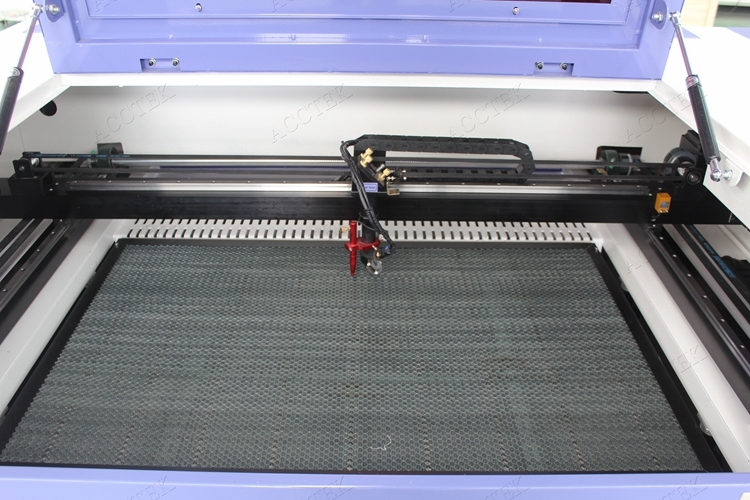 Technical parameter for laser cutter machine AKJ6090. Samples for the laser cutting and engraving machine 6090. 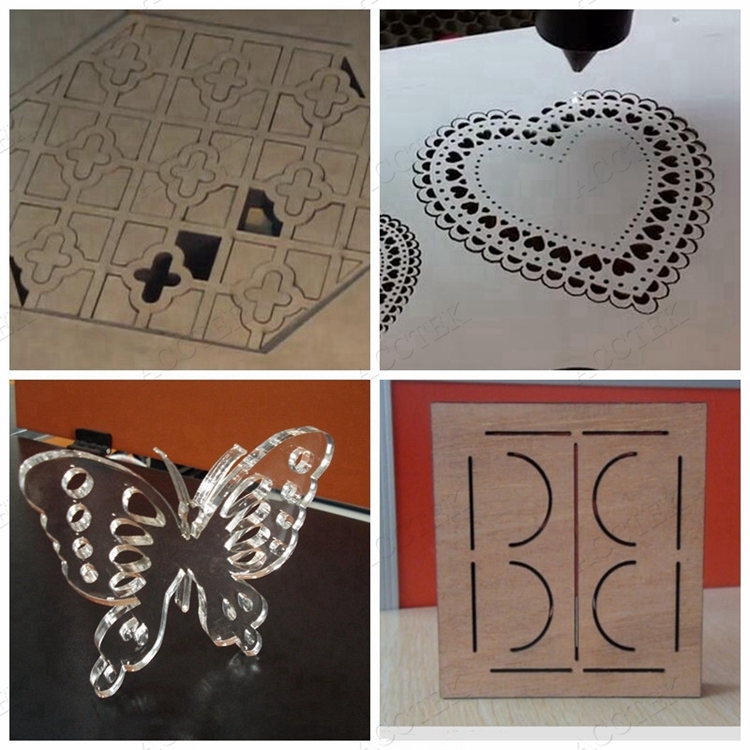 Laser engraving and cutting samples for wood / acrylic / mdf / cloth / fabric / plastic / arcylic / stone / marble, etc. 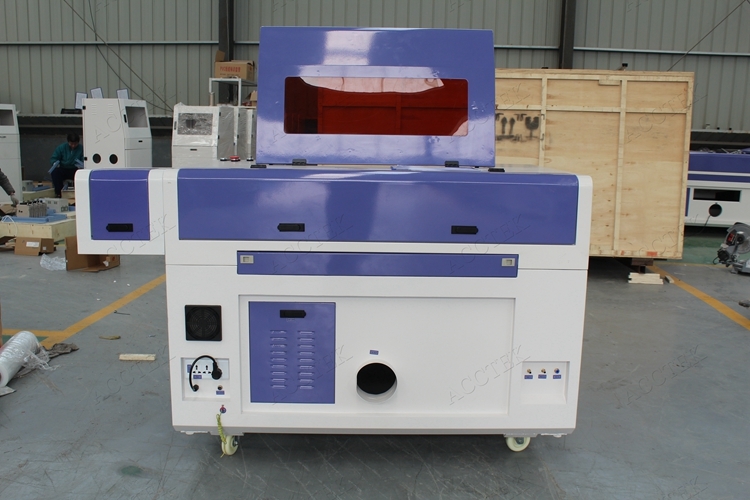 Details of the co2 laser engraver machine AKJ6090. 1) Laser head with red dot location device. 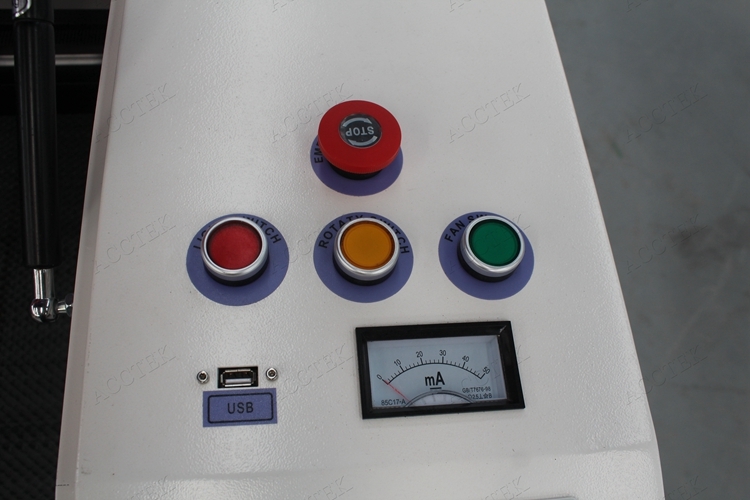 If add p-down work table, also need to add limit switch device. 2) Transmission mode: Shanghai fulong belt, Taiwan square guide rails and cooper gear. 3) Ruida controller with LCD screen and USB port, can use flash disk directly. 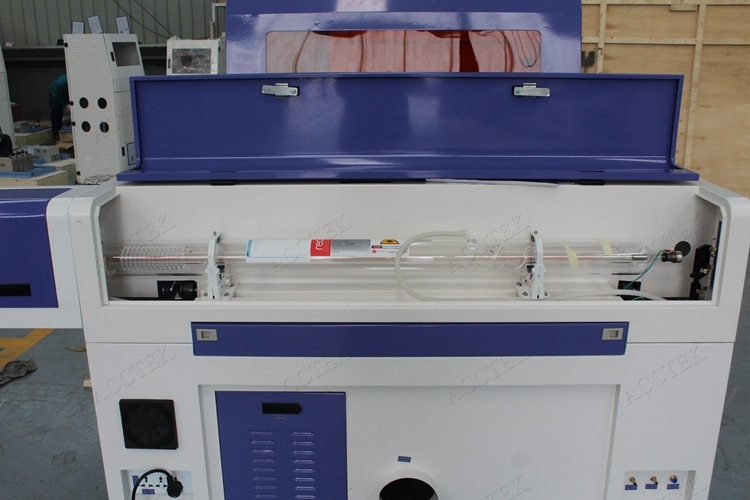 4)Beijing Yongli/ RECI laser tube. 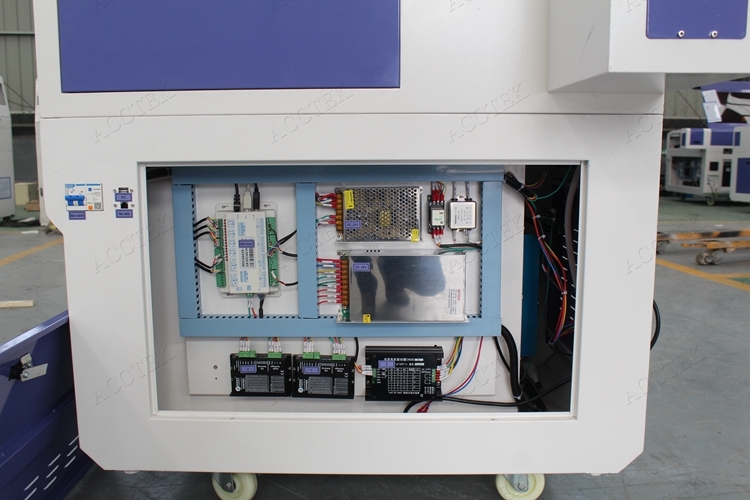 5) Controller cabinet: Ruida controller card, power supply, Leadshine drivers, power leakage protection device, etc.